Reviewed by James Ballowe, Engagement Advisor for the Center for Humans and Nature and Distinguished Professor English Emeritus from Bradley University. Readers of Curt Meine and Keefe Keeley’s anthology The Driftless Reader (University of Wisconsin Press, 2017) will find selections from eighty writers whom the editors describe as “eminent and obscure, bygone and contemporary, indigenous and outsider, poetic and scientific, and historic and hybrids .” Among some of the better-known writers are Henry David Thoreau, Robin Kimmerer, John Muir, Mark Twain, Frank Lloyd Wright, Laura Ingalls Wilder, Wallace Stegner, and Black Hawk. The selections are accompanied by fifty-five illustrations which help to tell the story of the Driftless region, its settlers, inhabitants, scientists, and those who journeyed through the unglaciated topography in southwestern Wisconsin and adjoining portions of Illinois, Iowa, and Minnesota. To help the reader understand the area and its effect upon those who have lived on it, studied it, or simply traveled through it, the editors have divided the essays into eight thematic sections: 1) Geologic Origins; 2} Ancient Peoples; 3) Historical Ecologies; 4) Native Voices; 5) Explorations; 6) Early Economies; 7) Settler Stories; 8) Farming Lives; 9) Waterways; 10) Conserving Lands; 11) Communities in Transition; and 12) Futures. This convenient organization should be a model for examining virtually any geographical area of the United States to which people have gravitated because they found a welcoming and, as with the native inhabitants, a satisfying spiritual environment awaiting them. Geology provides our foundation for understanding the extent of the place, but from there we step into other modes of understanding. The geological, hydrological, and ecological space becomes personal and cultural through the stories and meanings that it gathers—layered, shaped, grown over, and occasionally exposed, like the strata of Driftless bedrock. Individual experience colors these lenses and layers…. 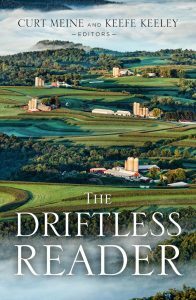 This book is not just a collection of commentaries on the Driftless region. It is orchestrated and presented by the editors in a manner that not only focuses attention on the Driftless region but also suggests a model that others might use to evoke the meanings underlying the natural surroundings that they call home. 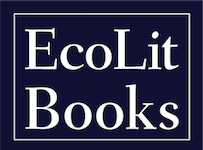 The editors’ insights and the voices they collect here become a poetic rendering of the meaning of place. 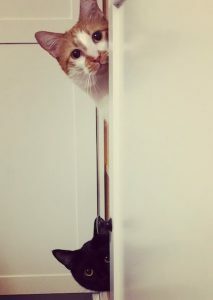 In their final comment in the “Preface,” they write this: “We can dwell on that which divides us, but we all dwell within landscapes that connect us. By listening deeply to the voices of our diverse places, we may find many ways home and many ways forward.” This anthology helps the reader understand the diversity that can be found in multiple regions within this country, and it will encourage readers to look more deeply into the meaning of the regions in which they live. The Center for Humans and Nature connects people with ideas that explore and promote environmental ethics and ecological responsibility.